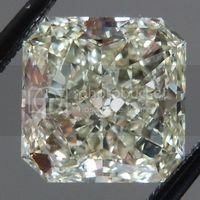 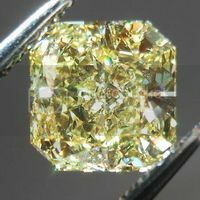 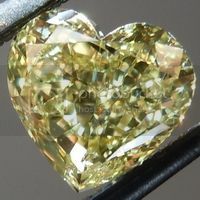 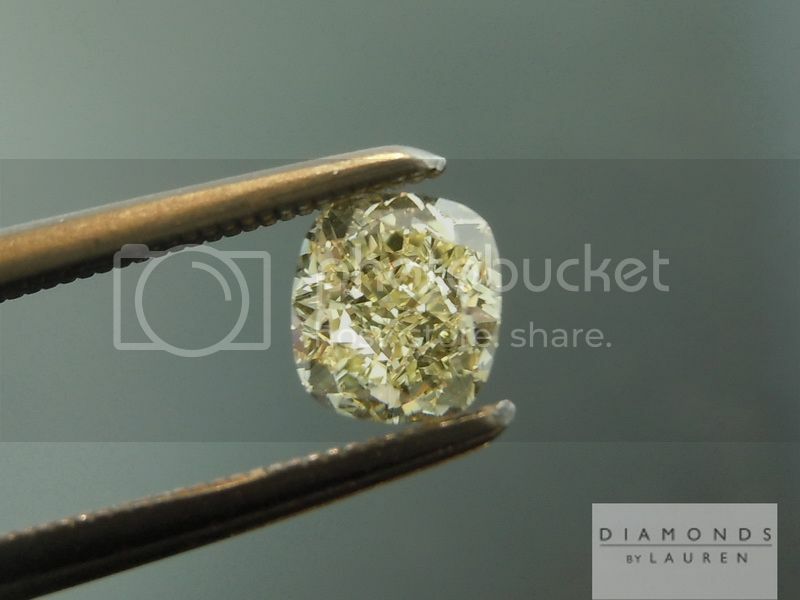 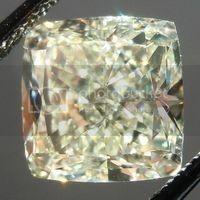 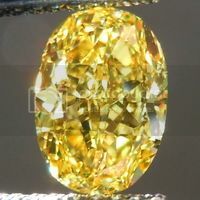 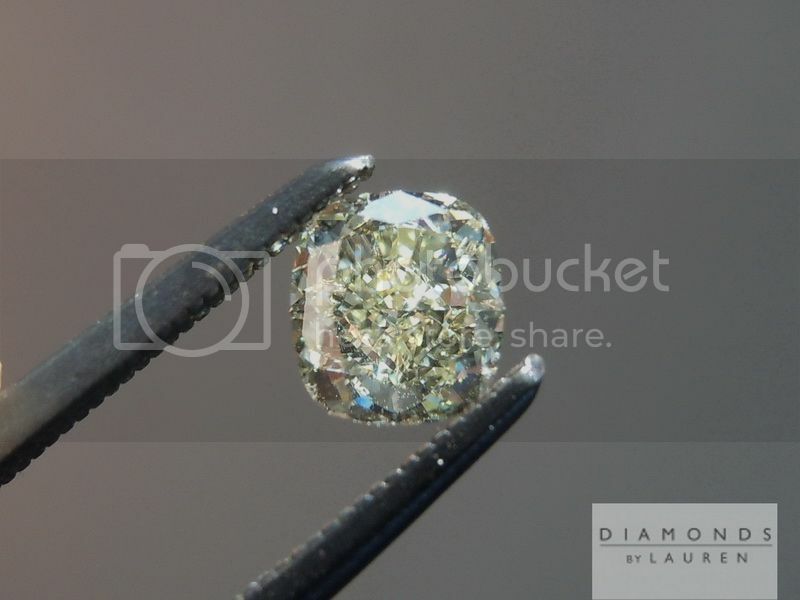 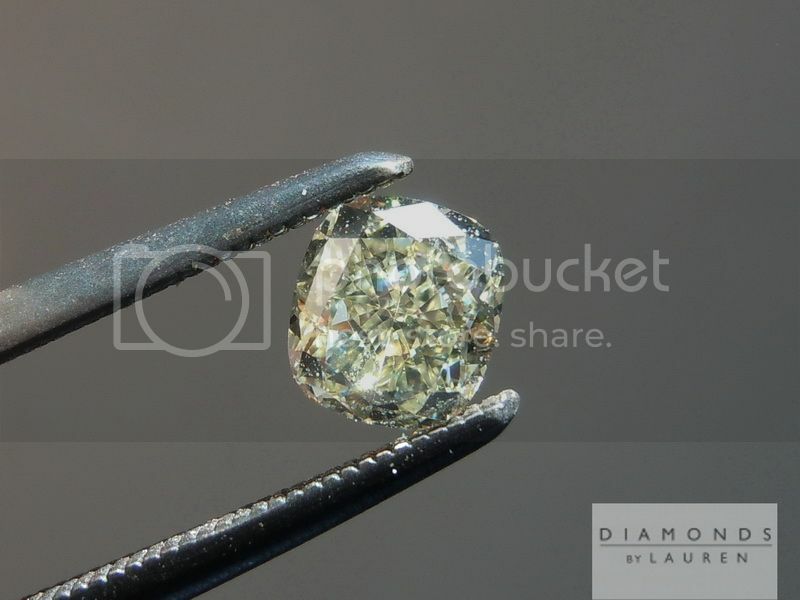 Here is a gorgeous cushion cut diamond - really well cut. 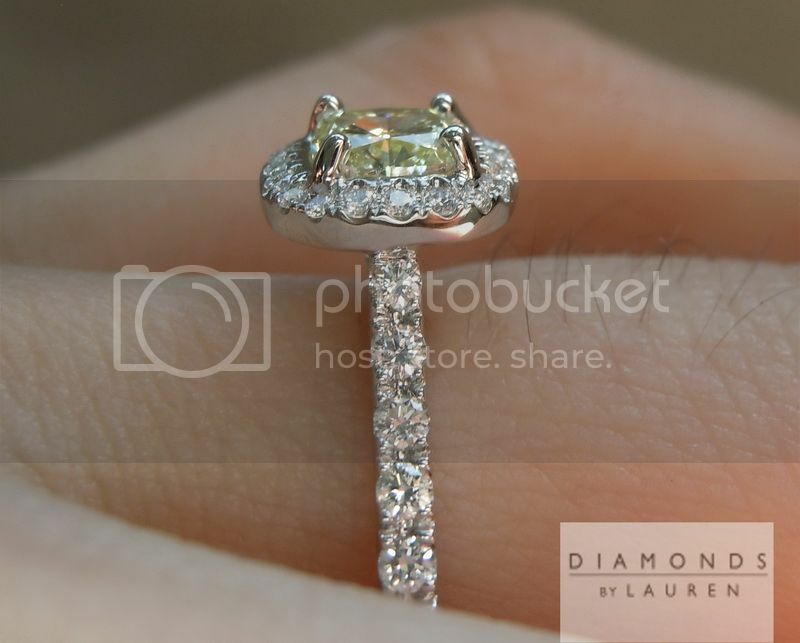 That makes a huge difference. 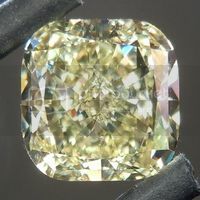 The cut gives off a tremendous amount of sparkle. 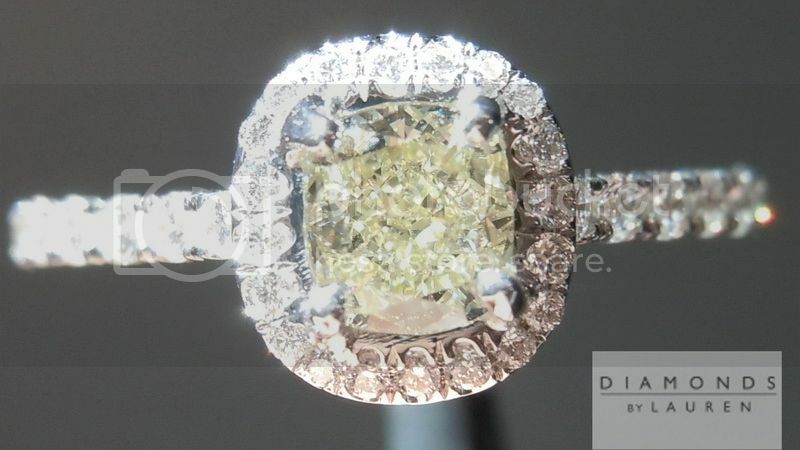 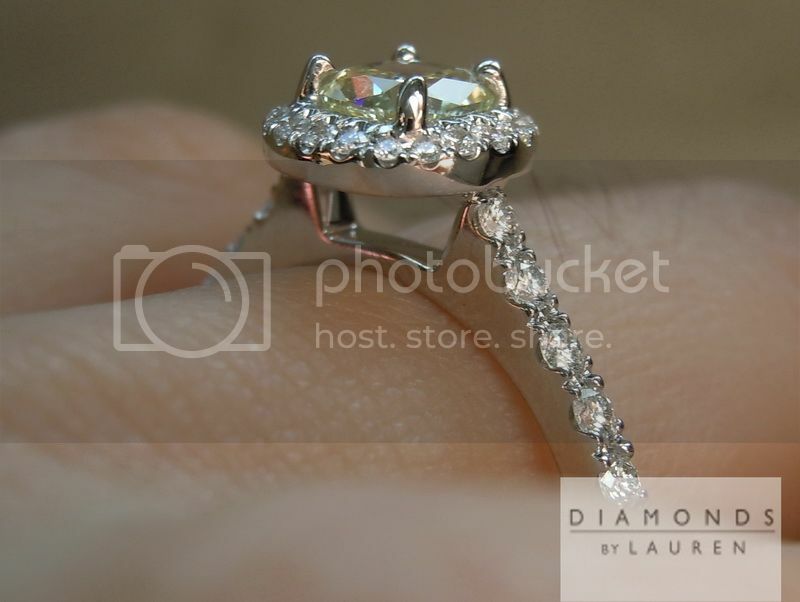 GIA graded the diamond W-X, which is a very pretty light lemon yellow. 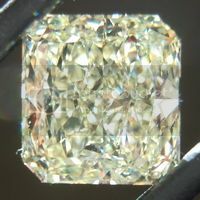 VVS1 Clarity - you gotta love that! 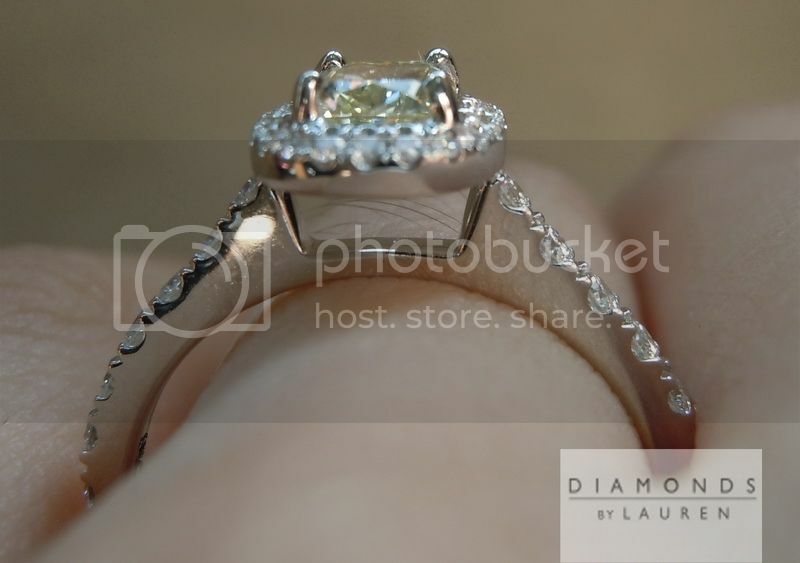 We set this stone in all white metal- so the color is super soft and pretty. 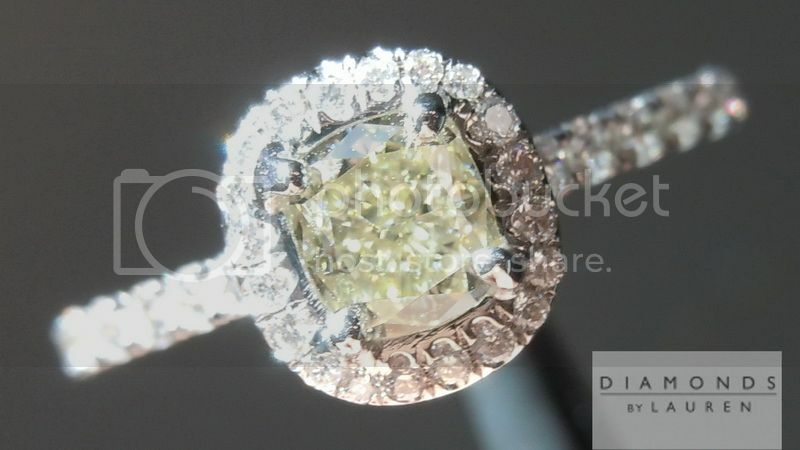 E-F color pave stones really set off the cushion.